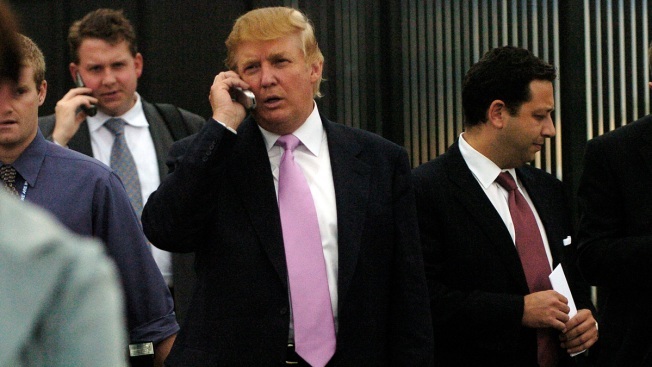 In this 2005 photo, businessman Donald Trump, left, talks on his cellphone with Felix Sater, right, outside after speaking at a business convention in Loveland, Colo. Sater has emerged as a key figure in House Democrats’ investigations into Trump’s Russia connections. A Soviet-born convicted felon who worked on real estate deals with President Donald Trump was accused in a lawsuit Monday of plotting to use Trump-branded skyscrapers to launder money allegedly stolen from a Kazakhstan bank. BTA Bank and the City of Almaty, Kazakhstan, allege Felix Sater conspired with the son of the city's former mayor to use some of the $440 million to develop a Trump Tower in Moscow. Sater, who was due to testify before Congress this week about his work with Trump, started pushing the Moscow project in 2005 and tried to kickstart it during Trump's 2016 presidential campaign, but it was never built. The bank also alleges Sater helped the mayor's son, Ilyas Khrapunov, mask $3 million as down payments on three condominiums in Trump SoHo, a New York City hotel that Sater helped develop as an executive at Bayrock Group LLC. Sater arranged for Trump and Khrapunov to meet and discuss potential investments, the lawsuit said, but it makes clear: there is no suggestion Trump engaged in impropriety or that he was aware Sater and Khrapunov allegedly stole money. Messages were left with Sater and representatives for Trump and his company, the Trump Organization. Khrapunov is not named as a defendant in the lawsuit, filed in federal court in Manhattan. His lawyer noted that all claims against him regarding alleged money laundering have been dismissed by federal Courts in New York and California. Sater's work on the Trump Tower Moscow project has made him a key figure in the House Democrats' investigations into Trump's ties to Russia. 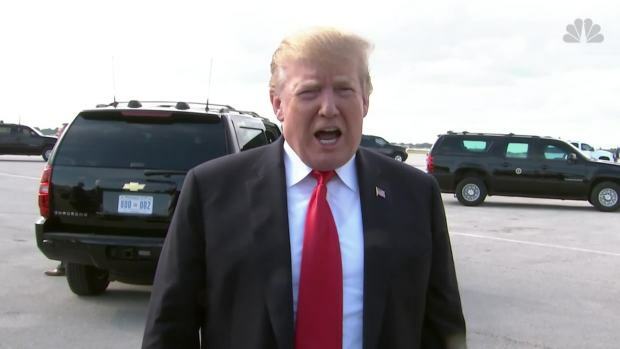 The Congressional probes are moving forward after Attorney General William Barr on Sunday said that Special Counsel Robert Mueller found no evidence that Trump colluded with Russia to influence the election. Sater's public testimony, however, will wait. The House Intelligence Committee postponed Sater's appearance, scheduled for Wednesday. It wasn't immediately clear if he would still meet with the House Judiciary Committee in a closed-door session Thursday. Khrapunov's father-in-law, former BTA Bank chairman Mukhtar Ablyazov, is accused of embezzling billions of dollars from the bank and funneling the money into offshore entities. The lawsuit said that, once caught, he turned to Khrapunov to monetize and launder remaining assets. Khrapunov knew Sater through his family and asked him to join the scheme in 2011, the lawsuit said. Sater had been involved in coal extraction and oil drilling ventures with Khrapunov's family and attended Khrapunov's 2007 wedding to Ablyazov's daughter, the lawsuit said. Sater and two other people are named as defendants, along with five companies, including Bayrock. In addition to the money laundering allegations, Sater is accused in the lawsuit of stealing $40 million for himself and an associate. Sater, 53, is among the more colorful characters in Trump's orbit. He served 15 months in jail in the early 1990s and permanently lost his stockbroker's license for stabbing a man in the face with the stem of a broken margarita glass at a Manhattan bar. A few years later, he got caught in a $40 million pump-and-dump stock fraud, turned state's evidence against two New York crime families and then continued providing the government with information related to national security and other matters. In another Trump connection, BTA Bank hired his former personal lawyer Michael Cohen in 2017 to help with litigation over Ablyazov's alleged embezzlement but dumped him within two months because it says he "did absolutely nothing of value." Sater and Cohen worked together on the Moscow project in 2016.